Businesses like yours are the heart and soul of our local community economy, so why would we want to bleed it dry with fees? Stocking up for slow times? Keeping money to pay your taxes? You work hard for your money; make it work for you for a change. What is the Goal? 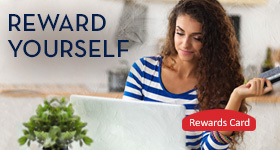 No balance Requirements Earn More without tying the money up Flexibility and great rates! Features Funds can be automatically transferred from your business savings account to cover unexpected checking overdrafts Transactions are limited to 6 with no more than 3 checks or over the counter withdrawals in a month Flexible terms and you select the maturity date.